This may be an embarrassing revelation, but here it goes anyways. 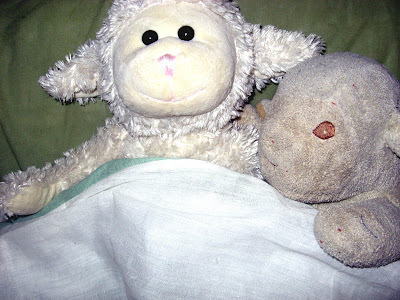 I have many stuffed sheep. 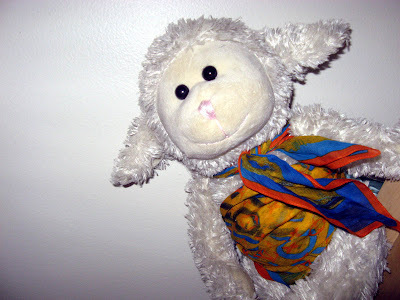 The sheep and I don't go way back to my childhood. 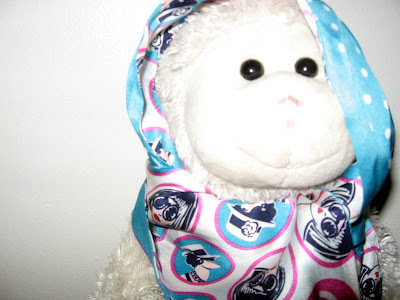 We go way back to my freshman year of college when I met a girl named Tara who had a stuffed sheep (I believe it actually was from her childhood), Tara and I became best friends and in between sharing our love for cheesesteaks, 40's and Sonic Youth, I also acquired the love for sheep. We lived together for three years, and in those three years the number of sheep kept growing and growing. It was getting out of control. They would throw wild parties and get wasted all the time. 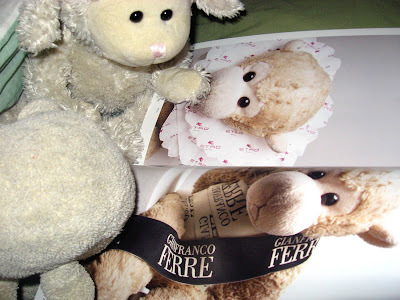 Now that we don't live together anymore, the sheep are better behaved and they love to read my fashion magazines. When they saw the new Lula, they begged me to let them dress up and take pictures of them. I, of course, obliged. Baby Lamb and Big Sheep love Lula. 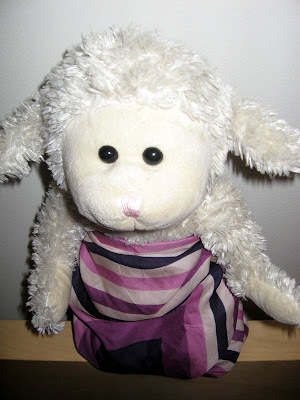 Big Sheep is ready for spring in her bright yellow sundress. Big Sheep loves geometric shapes! 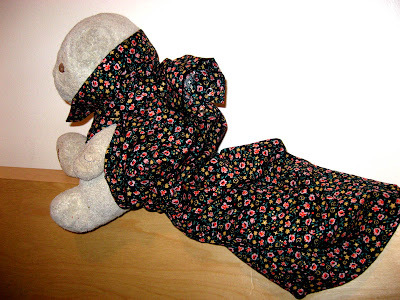 Baby Lamb looks stunning in her flower print gown. 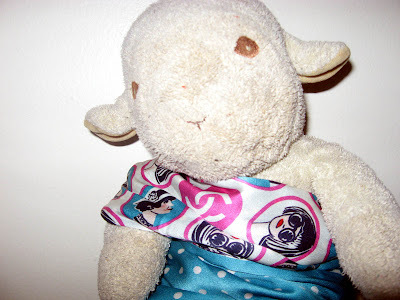 baby lamb's gown is divine. It's a little worrying that your sheep dress better than me. ah sophia! you can totally buy Lula in the UK, that's where it's from!